Below you can view all the homes for sale in the Sunset Ridge subdivision located in Holly Springs North Carolina. 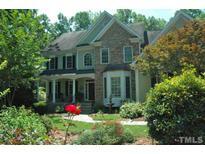 Listings in Sunset Ridge are updated daily from data we receive from the Raleigh multiple listing service. To learn more about any of these homes or to receive custom notifications when a new property is listed for sale in Sunset Ridge, give us a call at 919-759-5754. Walk to pools, parks, tennis, & golf. MLS#2250405. 3639. Home faces a big, lovely common area, giving you even more space to play! MLS#2250149. 2784. The Screen Porch is perfect for relaxing w/friends. Style & comfort perfectly combine. MLS#2250146. 4623. Walk-up attic for storage or expansion. MLS#2246843. 1320. Huge deck & stamped concrete patio w/fire pit make for perfect outdoor entertaining. MLS#2248102. 4981. Hurry, this one won't last! MLS#2247487. 3909. New Lifetime GAF Timberline roof. Minutes to parks & walking trails! MLS#2246659. 5026. Large backyard with spacious deck perfect for entertaining! New roof 2017 MLS#2244977. 2731. Large master suite with soaking tub & separate tile shower + 2 walk in closets. 4th bedroom/bonus room. Screen porch. MLS#2245068. 649. 3 season porch, deck, 2 patios, landscaped fenced yard, irrigation system, s/e garage, and multiple areas to enjoy and relax around the property. MLS#2244534. 1320. Don't miss your chance for maintenance free living in the heart of Holly Springs at an unbeatable price! MLS#2244200. 2060. Kitchen is wide open to Family Room & boasts 2 pantries, enormous island, granite, under cabinet lights & raised breakfast bar. WUA for storage & expansion! MLS#2243675. 1320. Special features throughout this home are numerous and include an over-size kitchen, in-law suite, 4 decks facing Sunset lake, a basement, and a loft over the M/Bedroom accessible by a brass-railed staircase. MLS#2220813. 3389. Walk-in Crawl space leaves endless possibility. Close to shopping & parks. MLS#2242362. 5026. Unfin walk-up attic & 2.5car garage. Deck & large flat backyard! MLS#2242118. 372. Walk up attic for storage or expansion! A must see! MLS#2234736. 1320. Walking distance to the neighborhood pools, restaurant and schools. MLS#2239312. 1320. $5K allowance for bathroom remodel w/acceptable offer; Great views of the 7th Fairway; cul-de-sac lot w/screened porch w/vaulted ceiling+skylights; deck+fenced backyard; hardwds; built-ins on 1st+3rd floors; Kitchen w/granite+stainless; brkfst area w/golf course views; huge Family Room w/wood burning Fireplace; Master Bedroom suite w/Walk in Closet+whirlpool tub; large 4th Bedroom could be 2nd bonus Room; plantation shutters in Living Room+Dining Room; new roof in '14; new AC for 2nd/3rd floor in '18; permitted 3rd floor w/surround sound. MLS#2238558. 1320. Oversized Ldry/Mud, Ldry Chute From Master Bedroom MLS#2238606. 2418. This home sits on a gorgeous .32 acre landscaped lot that backs a wooded area; drip irrigation in front flower bed and pots; 2 car side entry garage; Tankless water heater and Freshly painted interior/exterior. MLS#2237059. 3294. 4 bedrooms,2.5 baths,1st floor office with built ins, hardwoods 1st floor, granite & Stainless Steel appliances, baths w/granite, finishable walk up attic, custom features throughout, newer carpeting, exterior painted 2015, interior painted w/today's colors 2017, dishwasher 2018, water heater 2016, 2 tier deck w/pergola & gas outlet, irrig System w/spray & drip, security System, termite warranty, ref/washer/dryer, Sunset Ridge amenities - must see MLS#2235658. 986.